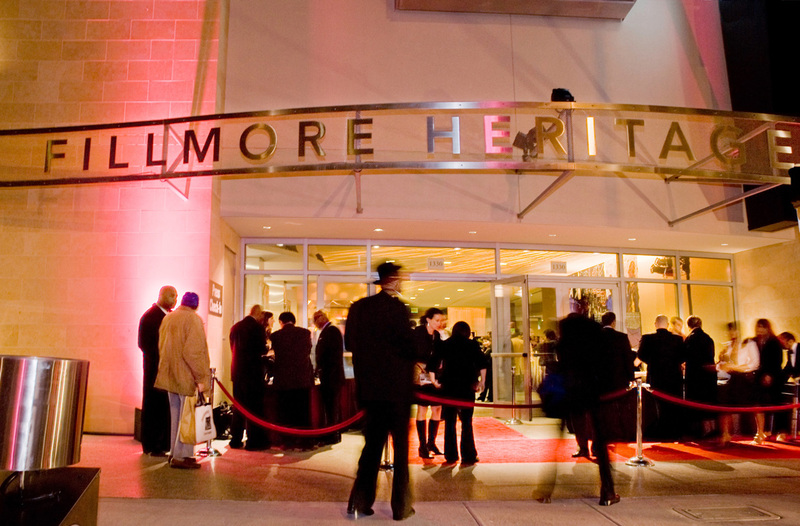 Opening night in November 2007 at the Fillmore Heritage Center, now empty for three years. UPDATE: The wait will go on. 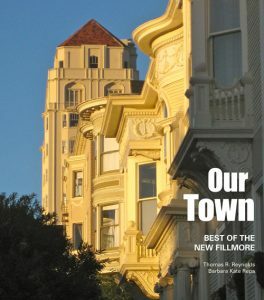 City Hall has punted, announcing on November 3 that no decision will be made yet on what to do with the Fillmore Heritage Center. All five bids for the complex were rejected, and the process will start all over again. THEIR DECISION could have been made anytime since July 1, 2014, when Yoshi’s pulled out next door. 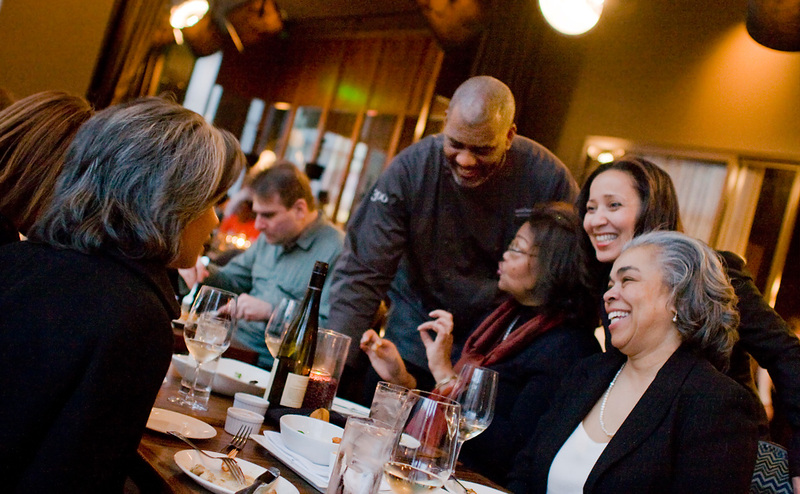 But the owners of 1300 on Fillmore restaurant hung on, committed to the resurgence they helped spark. They even doubled down and opened a barbecue joint across the street. Owners Monetta White and David Lawrence insisted they are just taking a break — a “hiatus,” White called it — from trying to keep an upscale restaurant open on a lonely corner. Business has gotten slower and slower during the three years since Yoshi’s jazz club and restaurant called it quits, and city leaders have dragged out a decision about what to do with the space. David Lawrence and Monetta White greet diners at 1300 on Fillmore soon after it opened. In the meantime, Black Bark BBQ will continue and they will rent out 1300 and its Fillmore heritage lounge for pop-ups and private events. 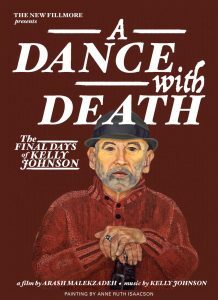 “It’s a short-term decision for a long-term stay — hopefully,” White said. 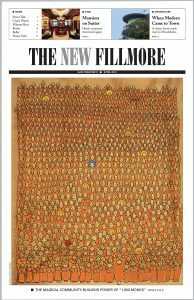 Like nearly everyone else associated with the Fillmore Heritage Center — which houses 1300, the massive Yoshi’s restaurant and showroom, an art gallery, a screening room and a public parking garage — White expressed frustration with the city’s delay in finding a buyer for the complex. The project defaulted to the city when the developer went bust.